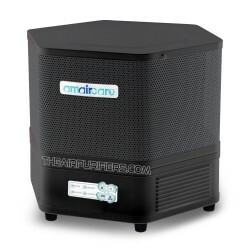 Amaircare AirWash MultiPro BOSS with double capacity air filtration system of Amaircare Airwash MultiPro is ideal Heavy Duty Amaircare air purifier for diverse Commercial and Industrial air cleaning applications. Amaircare AirWash MultiPro BOSS with its rugged durable construction, the AirWash MultiPro BOSS customizable filters, portability and simple maintenance is a true "BOSS" at a large scale Construction, Renovation, Remodeling, Restoration and Remediation job sites up to 14000 sq. ft.
Amaircare AirWash MultiPro BOSS rugged durable all metal construction ensures a trouble-free operation in most challenging and tough conditions for many years to come. 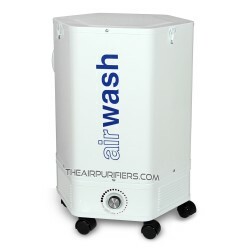 The AirWash MultiPro BOSS offers multiple HEPA and Carbon filter configurations of MultiPro BOSS 5-stage air filtration system for diverse air cleaning applications - removal of Particulates, Fumes, Heavy VOCs and their combinations. 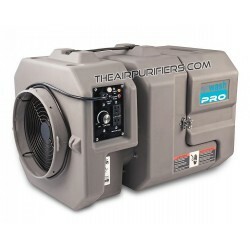 AirWash MultiPro BOSS features a Dual air filtration system totaling either 200 sq. 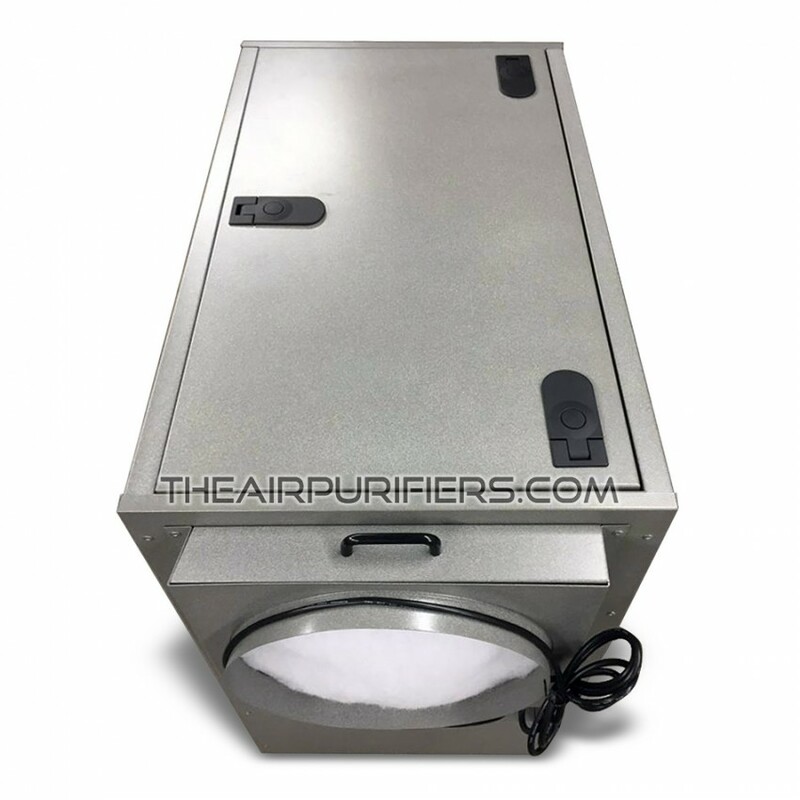 ft. of HEPA media for Large scale particulate removal or up to 72 lb. of regular or specialty adsorbent in ULTRA VOC canisters for heavy VOCs, fumes and specific chemicals abatement. The Amaircare AirWash MultiPro BOSS bottom mounted heavy-duty wheel casters and 5 lift handles ensure a high level of portability and maneuverability even in tight places. The AirWash MultiPro BOSS removable pre-filter holder and a top filter access panel with quick-release push button latches allow toolless access for speedy on-site filter replacements, cleaning and maintenance. The AirWash MultiPro BOSS control panel has an Air Flow indicator which alerts about reduced airflow, suggesting the filter cleaning or replacing may be necessary. At less than half the price of Amaircare 7500 AirWash Cart the Amaircare Airwash MultiPro BOSS is an affordable alternative for large scale renovation, restoration and remediation projects. 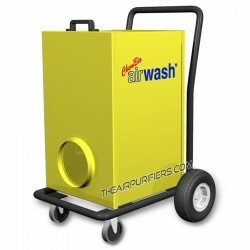 Fast Free shipping of Amaircare AirWash MultiPro BOSS anywhere in continental USA and Canada. No US Tax, No border crossing fees - ships from both US or Canadian warehouses. 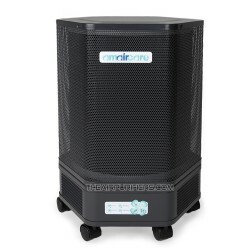 Amaircare AirWash MultiPro BOSS 5-Year Peace of Mind Manufacturer's Warranty. 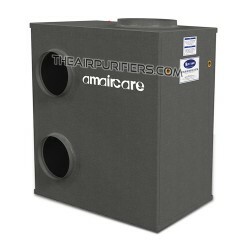 Amaircare AirWash MultiPro BOSS comes with a Peace-of-Mind 5-Year Limited manufacturer's warranty (excludes filters). 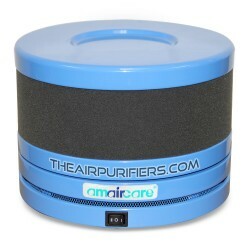 Amaircare AirWash MultiPro BOSS requires Two Sets of HEPA filters with Inner Carbon Blanket Filters or VOC Canisters. Media Pad Intake pre-filter - 1 ea. 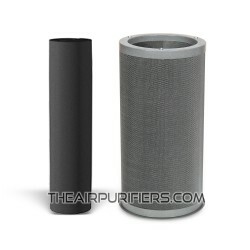 Foam Pre-filter - one for each of True HEPA filters or ULTRA VOC canisters. For Large Capacity Particulates Removal and Adequate Chemical Adsorption. 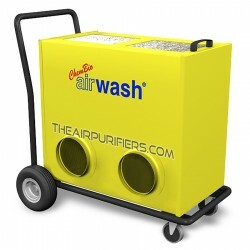 Perfect Seal™ 16 inch True HEPA filter of Easy-Twist toolless design boasts an impressive 100 sq. ft. of 99.97 % @ 0.3 micron efficiency True HEPA media for Large Capacity particulates removal - asbestos dust, smoke, fine construction dust, ground talc, mold spores, fumes, etc. 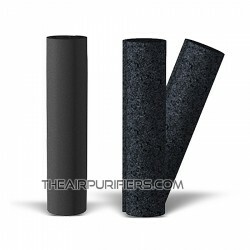 Carbon Blanket Inner Filter a 1/2-inch thick non-woven polyester based filter imbued 200% with activated carbon and placed inside of HEPA filter provides adequate adsorption of chemicals, cigarette smoke, household odors and light VOCs. For Large Capacity Particulates Removal and Enhanced Chemical Adsorption. 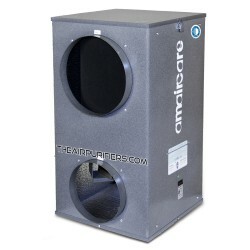 Perfect Seal™ HEPA filter of Easy-Twist toolless design traps over 99.97% of all particulates down to 0.3 micron in size - asbestos dust, fine construction dust, ground talc, smoke, mold spores, fumes, etc. Inner VOC Canister with 6 lb. of 100% Activated Granular Carbon ensures enhanced adsorption of smoke, heavy chemicals and moderate VOCs. Inner VOC Canister with 6 lb. of Formaldezorb proprietary adsorbent provides enhanced abatement of moderate Formaldehyde, VOCs, ammonia. 3. ULTRA VOC Canister with 30 lb. of 100% Carbon or Formaldezorb x 2 - NO HEPA. Extra Large Adsorption Capacity for VOCs, Formaldehyde, Heavy Chemicals, Smoke. Attention! There is No True HEPA filter in this filter configuration. 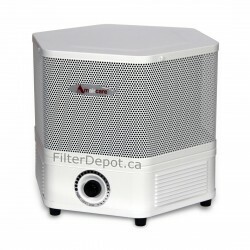 The HEPA filter is replaced (substituted) with Easy-Twist 16-inch ULTRA VOC Canister containing massive 30 lbs. of adsorbent. ULTRA VOC Canister with 30 lb. 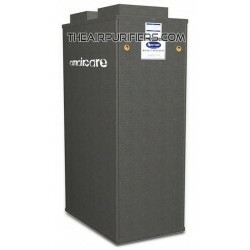 of 100% Activated Granular Carbon provides Extra Efficient adsorption of VOCs, smoke, fumes, heavy chemicals. ULTRA VOC Canister with 30 lb. of Formaldezorb proprietary adsorbent ensures Extra Efficient abatement of Formaldehyde, heavy VOCs, Ammonia, Specific chemicals. 4. ULTRA VOC Canister plus Inner VOC Canister x 2. Maximum Adsorption Capacity for VOCs, Formaldehyde, Heavy Chemicals, Heavy Smoke, etc. 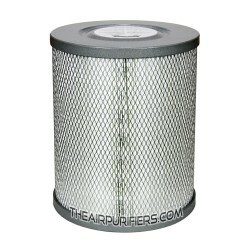 In this filter configuration the Inner VOC Canister with 6 lb. of adsorbent goes inside of the ULTRA VOC Canister with 30 lb. of adsorbent amounting the combined total to 72 lbs. (36 lb. x 2) of either 100% Activated Granular Carbon or Formaldehyde adsorbent, depending on your choice of VOC canisters. Inner VOC Canister 6 lb. 100% Carbon or Formaldezorb - 12 months. Ultra VOC Canister 30 lb. 100% Carbon or Formaldezorb - 12-18 months. 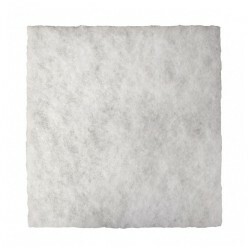 Media Pad Pre-filter - 3-6 months. 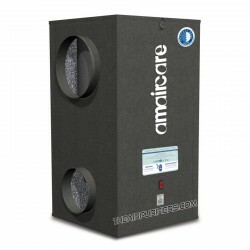 Amaircare AirWash MultiPro BOSS air purifier employs two Thermally protected insulated motors with centrifugal fan. The one-piece compact Motor/Fan assembly is factory balanced to deliver vibration and noise-free operation. The motor is rated for a long continuous operation at High RPM (3050 RPM) and is run tested for 50,000 hours of continuous operation. The variable rotary speed control with On/Off position allows to gradually change the delivered air flow from 1800 CFM to 2000 CFM on High. Amaircare AirWash MultiPro BOSS Ships Free by Ground delivery service in the Continental USA and Canada from the warehouses in US and Canada. Carefully inspect the entire content of shipment upon arrival for possible damages in transit or missing items. If the problem is found, it has to be reported to the driver of the courier company. The detailed description of the damage or a problem has to be written in the Delivery Receipt and reported to our company's Customer Service department without a delay.